Shortly after lunch today, I paid a visit to Jerry Bilek at Monkey See Monkey Read to look for some xmas presents. About ten minutes later, Ross stopped in to pick up an order. About ten minutes later, Tracy stopped in to place an order. 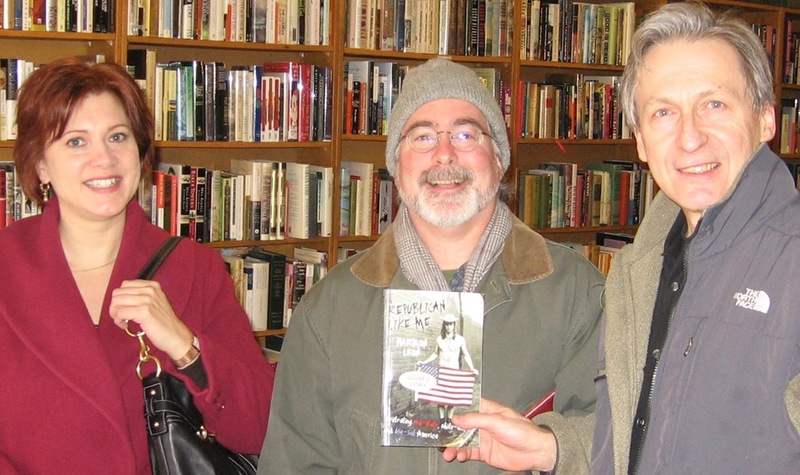 We handed the camera to Jerry to take our photo, and we soon got to arguing over who got to buy the book. When Kiffi Summa suggests that we Men of Northfield are passing the time by lying around eating bonbons, apparently in a sugar induced stupor, I must declare, “It is not so”. We fine specimens of Northfield Manliness are constantly striving for the betterment of ourselves, our friends and families, and our communities. Taking her thesis that Bruce Morlan is “the most erudite of all” as a direct challenge to my Northfield Manhood (he is of DUNDAS, after all), and responding quickly and vigorously to Jerry Bilek’s offer of Anthony Everitt’s biography of Cicero, I wasted no time in advancing to Monkey See, Monkey Read and obtaining the aforementioned book. 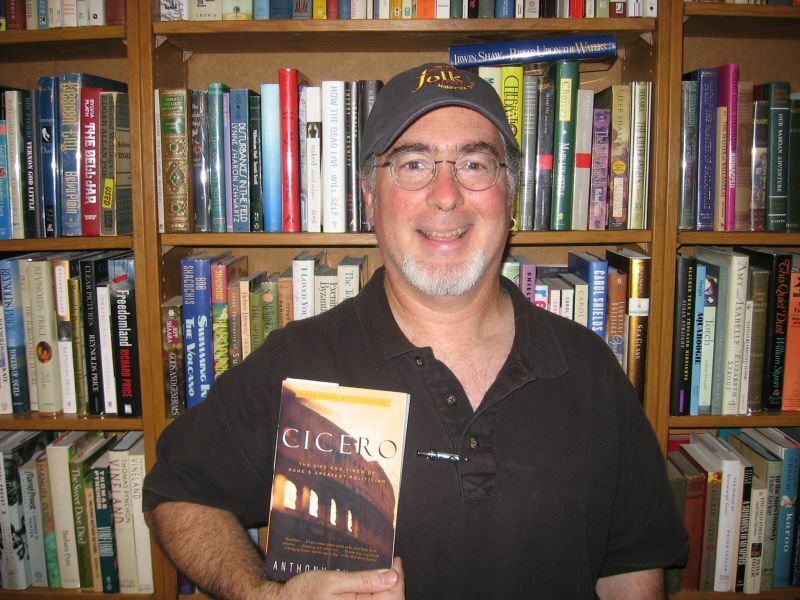 Oh, prepare ye Bruce of Dundas, for a challenge on your knowledge of Cicero…in the very near future. And prepare ye Kiffi of the Westside, to reconsider your rankings of the most erudite in the Valley of the Cannon. We Men of Northfield are not to be taken lightly…or, sometimes, too seriously. 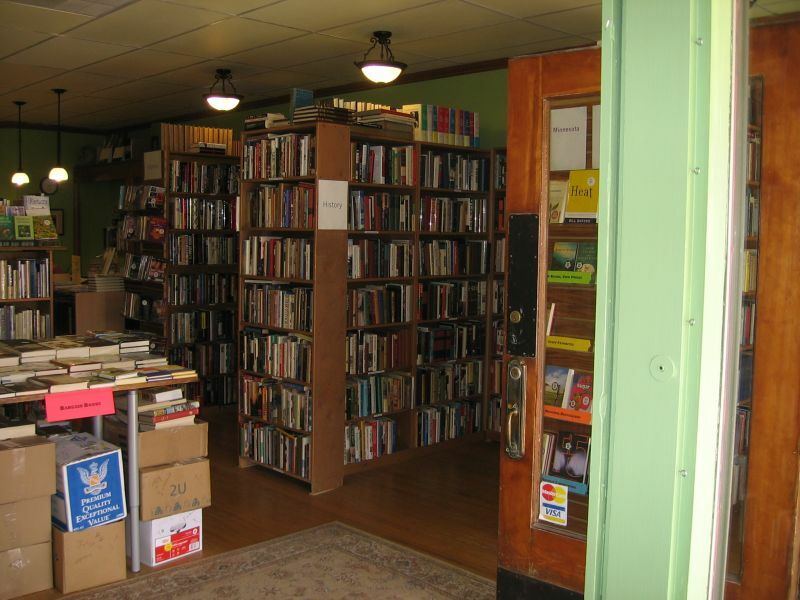 This is the inside of an independent bookstore. Not just any bookstore, but Monkey See, Monkey Read. I had wanted to take a picture of the proprietor, Jerry Bilek. Not that there’s anything particularly interesting about Jerry’s physical appearance, it’s his personal reading list that I wanted to highlight. Jane McWilliams, former Planning Commissioner, current ARC Committeer, and future Eldercollegium convener, e-mailed me in search of some possibilities for a syllabus for a course on community planning. I told her that I had a few titles off the top of my head but that a number of people have shared recommendations with me over the years and it would be better to generate many ideas. 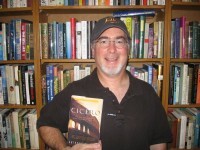 Jerry Bilek is one of those people with recommendations, so I’ll call him out in this blog posting and challenge him to comment with some titles. Anyone else with some recommendations can join in too. I’ll start it off. I guess the first book that I read that explored this subject was Lewis Mumford’s The City in History. I picked it up at a used bookstore in Middletown, Connecticut and was quite fascinated with both the book and the topic. 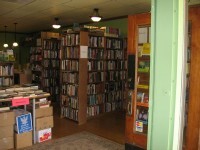 The next one I remember was from an alternative bookstore in Madison, Wisconsin. It was Frank Lloyd Wright’s The Living City. The topic of urban planning moved from reporting to visioning. When I was at ArtSpace Projects in Minneapolis, National Trust for Historic Preservation President Richard Moe was kind of an unofficial advisor. I read his, and Carter Wilkie’s, Changing Places. During that period, I attended a lecture by Witold Rybczynski and followed up by reading his City Life. When I did some consulting work for a developer based in Bloomington, we were considering larger developments and I read both The Next American Metropolis by Peter Calthorpe and Towns and Town-Making Principles by Andres Duany and Elizabeth Plater-Zyberk. During my tenure at the NDDC, I’ve read Toward the Livable City, edited by Emilie Buchwald, and Sustainable Architecture, a collection of white papers gathered by Earth Pledge. I’ve also perused A Pattern Language by Christopher Alexander. Finally, for pleasure, I read Ghosts of 42nd Street by Anthony Bianco, which combined both the history of a neighborhood and the chronicles of redevelopment efforts. The books listed above focus primarily on design and community building, at least in my opinion, is more than just design. I think that it includes, at the very least, culture, economics and people. Jerry Bilek has recommended several books on the redevelopment of local economies to me which could be included in the syllabus. So Jerry, I’ve called you out, you and any other amateur experts on creating better communities. Suggest some books for Jane’s syllabus and we’ll all read some good books.